Lipicard is marketed by USV and is available at every leading online pharmacy, drugstore and medical supply store. The active ingredient present in Lipicard is Fenofibrate. Fenofibrate is mainly used to reduce cholesterol levels in patients at risk of cardiovascular disease. 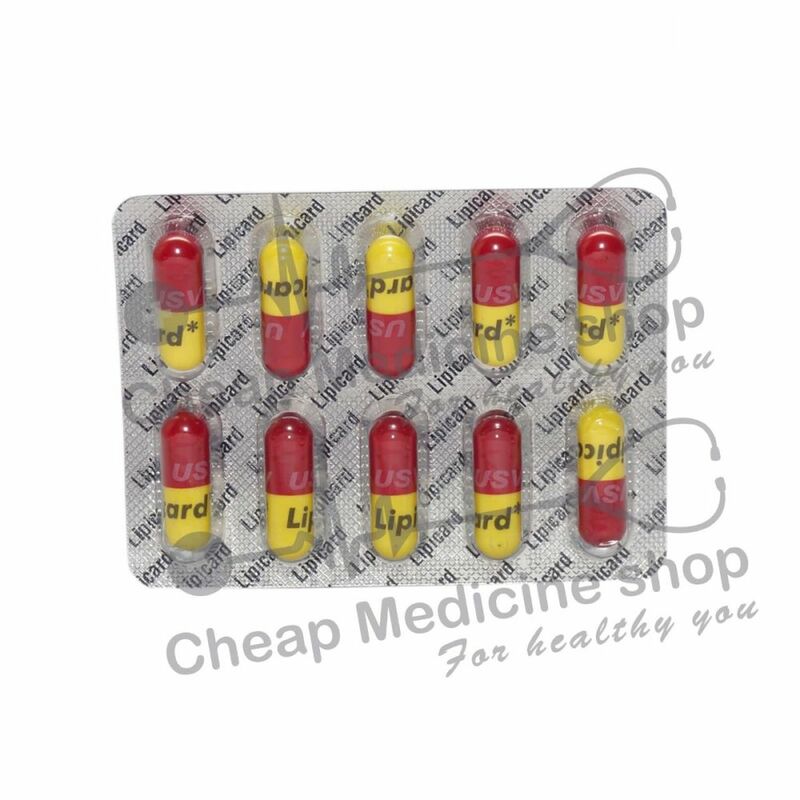 Lipicard, that contains 160 mg of Fenofibrate, is manufactured by USV. It is mainly marketed and supplied by the company and its associates in India and is available at every leading online pharmacy, drugstore and medical supply store. Lipicard contains 160 mg of Fenofibrate. Lower the levels of cholesterol in the body. Lipicard, that contains Fenofibrate, works by activating peroxisome proliferator-activated receptor alpha (PPARα) and thereby lowers lipid levels. PPARα activates the enzyme lipoprotein lipase and reduces apoprotein C3; thus increasing lipid breakdown and elimination of triglyceride-rich particles from plasma. Lipicard, having fenofibrate, can be taken with or without food. More information will be directed by your doctor. 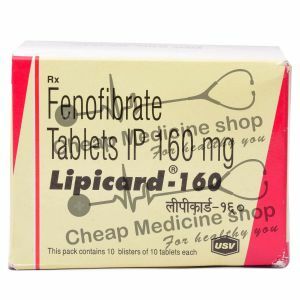 Fenofibrate, the active salt present in Lipicard is usually available as 40 mg, 48 mg, 54 mg, 120 mg, 145 mg and 160 mg tablets at every leading online pharmacy, drugstore and medical supply store. A more specific dose for your condition will be directed by your doctor. How Long Should I Continue Taking Lipicard? Missed a Dose Of Lipicard? When Not To Take Lipicard? Do not take Lipicard if you have an allergy to Fenofibrate or any other ingredient of this drug. Do not take this drug if you have active liver disease or renal dysfunction. If you are taking Lipicard, check your INR more closely. If you take Cholestyramine or Colestipol, take them at least 4 hours before or 1 hour after consuming this drug.